Just like you have a section of bookmarking your favorite websites on your browser, similarly you have a facility of bookmarking your website on the public directories – good thing is that your website will be visible to the visitors and crawlers. Websites need to be bookmarked to get good quality back-links and visitors. Social Bookmarking is that extra boost that every website needs as the bookmarks are much more effective than the usual and traditional methods of doing search engine optimization. Social Bookmarking helps generate resources that are important than generating links and anchor texts for your website. 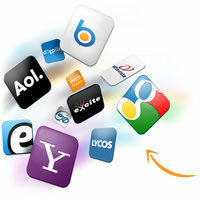 Most of the social bookmarking websites are the ones that contain higher PR. Higher PR is good for generating dynamic and authentic resources and that leads to quality link juice coming to your website. Social Bookmarking is considered to be more effective than the usual Directory or Article Submissions because of the links and visitors it generates leading to the website. Social Bookmarking follows certain methods while submitting the URL for your website – the keywords, the description and the website URL and related information that gives your website the appropriate classification. The category of the website for Social Bookmarking has to be decided so that the website shows up for relevant searches. Social Bookmarking sites have a greater page rank due to which any news related content and articles are pulled up first for immediate circulation and knowledge of the customers who are searching for similar content or people who put that search query for which the people are searching. The important technique of bookmarking your website is to do so in the correct category or the category closest that suits best to your business website. Inappropriately bookmarked website will not only be of no use, sometimes it can cause the negative effects, which we at SharpTarget take pride in avoiding and giving you the rightful service. 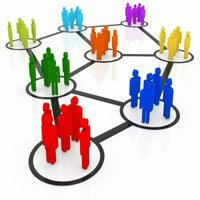 Social Bookmarking is one step ahead than the traditional Search engine optimization techniques. This is the method that fetches a lot of trust worthy sources and links. Since what we do is manual submission, the effects are like natural link building and so give you the best results. A very clean and good technique for creating popularity if your website is tagged in the popular category and this involves people voting for your page. This increases the user interactivity and the number of votes can increase the popularity. It is considered to be a healthy practice at this gives search engine visibility. It helps to store web pages and web sites to store pages as per the category and give results when the relevant keywords are typed. 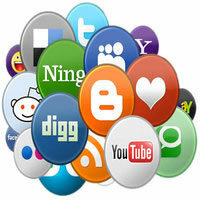 Social Bookmarking helps change the face of your business website and give fame!